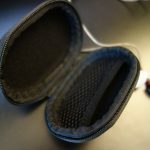 The overall packaging and accessories are fantastic, I would have liked to see the great soft carrying pouch from the A65 though – as it is extremely useful for portability, unlike the hard carrying case which isn’t as pocketable. It would have also been nice to see the inclusion of a few foam tips, but on the whole I can’t complain all that much. 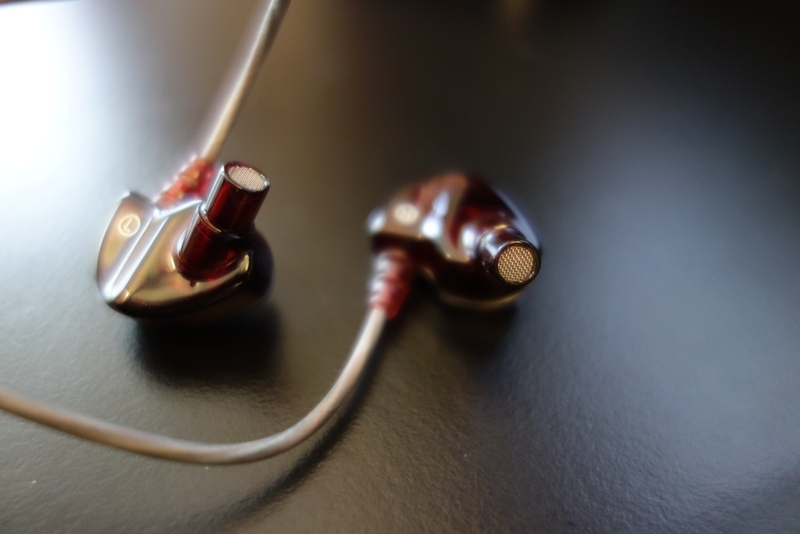 The build quality is truly well thought out by FIDUE, especially due to the earphones’ lightweight design, making them comfortable (more on that in my comfort section). The A73 is terminated by a straight gold-plated 3.5mm jack, which isn’t ideal for longevity. Just like the A65, I would have preferred a right-angled jack. Moving up the cable, which is made out of a sheeted-type material, you’ll find the Y-split for the right and left drivers. On the right-sided driver cable, there is a one-button remote, which works fantastically to control music and calls. 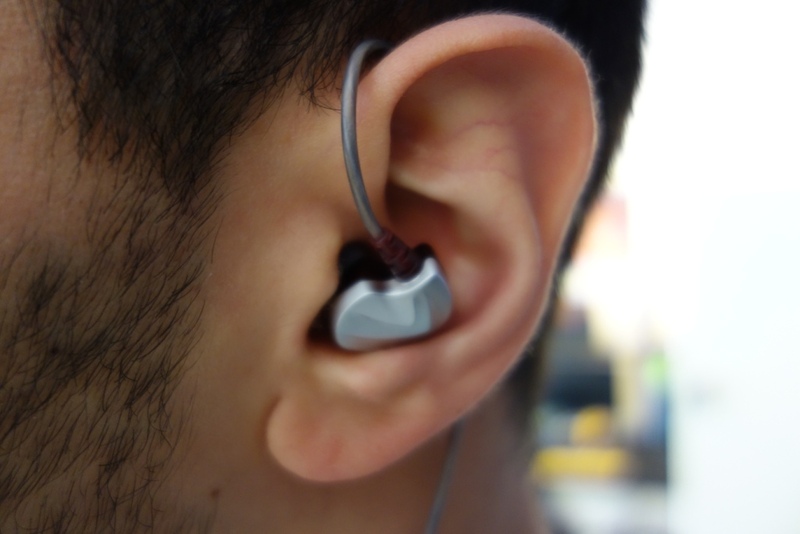 There is also a microphone which enables you to directly take calls from the earphones. 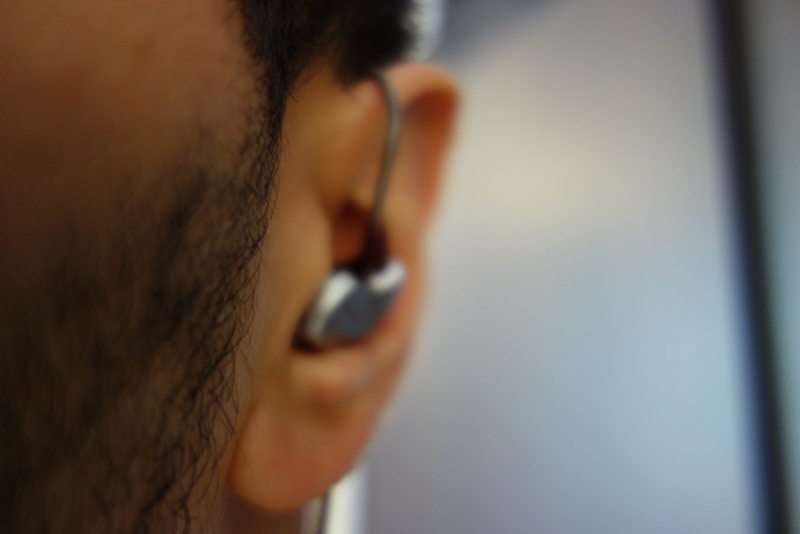 The earphones’ housing has a right and left indicator which is quite easy to see. Therefore, working out the direction of the earphones should be easy enough. 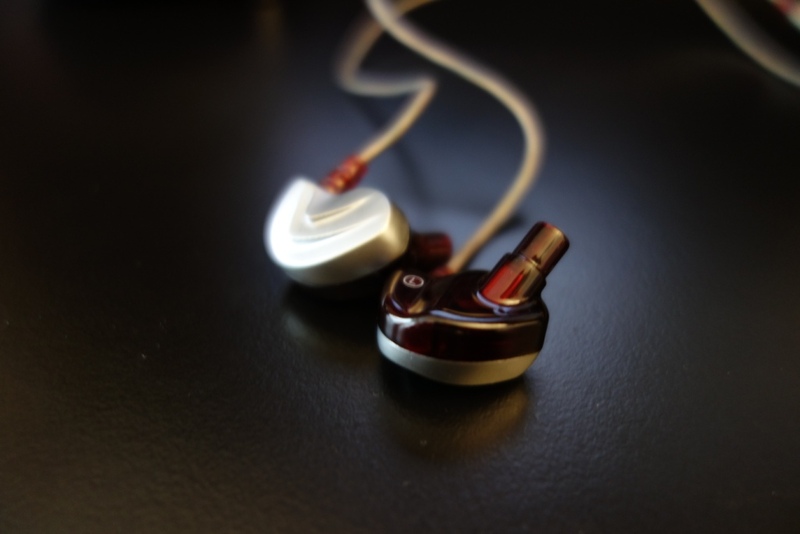 The design and build of the earphones’ housing is something to admire, with a red partial see-through shell and a silver plate to round-off the look. 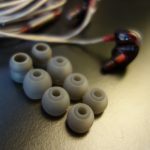 The housing is made out of solid plastic, making it lightweight and great for long listening sessions. Due to the design of the earphones, they have to be worn over-the-ear, which is something I’m very much accustom to and found the cable extremely comfortable to wear around my ear. Furthermore, this means there’s absolutely no cable noise present, making them ideal for running or non-disturbing listening. Overall, the build quality is fantastic and there’s very little to fault here. I just wish that FIDUE had used a right-angled jack instead of a straight one. I really like the overall design and looks of the earphones, I feel they will suit all type of different tastes and furthermore, due to their silver faceplate have a somewhat futuristic look to them! The overall isolation of the A73 is actually surprisingly good. It performed better than most earphones I’ve come across and this is mainly due to the slightly larger size of the earphones’ housing. Whereby they passively cancel some sound through their slightly larger housing design. The A73’s comfort is fantastic – it’s safe to say that I was extremely happy with them, so much so that I gave them a full 10/10 for comfort. 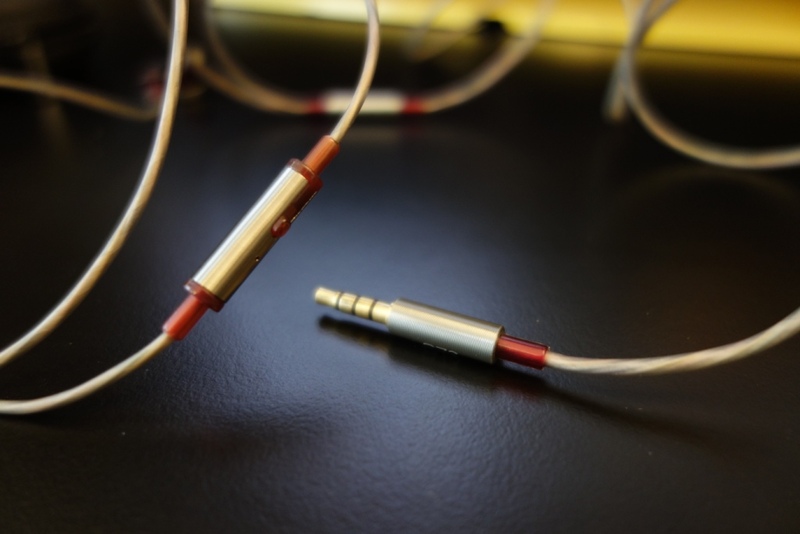 The earphones sit very lightly within your ears and their cable is soft, meaning there’s no discomfort, despite having to wear them over-the-ear. 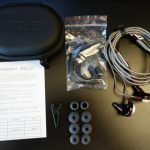 I was very sceptical about the A73s sound quality and thankfully the crossover is done somewhat well with the balanced armature (BA) and dynamic drivers (DD). Housing two driver you would have thought the mids and highs would excel through the BA driver, whilst the DD would take care of the lows. Unfortunately, this wasn’t quite the case, with the A73 severely under-performing in the lows and have an extremely sibilant (yet capable) highs. Its biggest flaw is by far the sibilant highs which make listening to the A73s without foam tips or an EQ unbearable, especially for long listening sessions. The lows were a big disappointment, with the A73s being unable to extend into the sub-bass regions and the mid-bass being very tainted, where it lacked presence and precision. I found the lack of any real sub-bass rumble the biggest drawback fo the A73s. I can understand dedicated BA driver earphones not having bass, but for a hybrid earphone, one would have thought you would get that low-end impact. This wasn’t the case, and the A73 fell short in the bass department. The mids are very well presented, with the BA driver shining through and delivering very forward and an accurate mid-range reproduction. It’s safe to say that the A73 compete with some of the best mid-centric earphones that money can buy, let alone ones that are under £100. However, despite having fantastic mids for its price, it was really let down by its highs, which despite being sibilant, didn’t actually extend that well in the high frequencies. Therefore, there was a lack of sparkle in the A73s presentation and an uncomfortable sibilance. I’m sure this could be fixed by EQ’ing and/or using foam tips, but as I always review an earphone out-the-box (after a minimum of 50hrs of burn-in), I can’t comment on the modified sound quality you might attain. 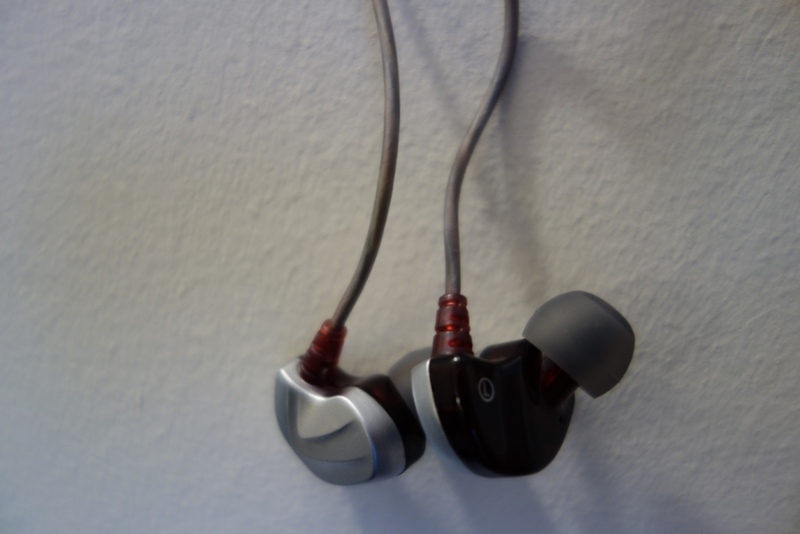 The soundstage was another part of the A73s which let its overall sound quality down. The soundstage is a little closed, doesn’t have that much depth or width and most importantly lacks that BA-type instrument separation. Overall, the sound quality lets down the A73s. 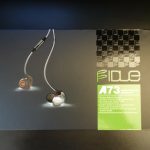 I comparison to something like the DUNU Titan 1 or even its younger sibling the FIDUE A65s, the A73 have a fantastic overall package, but just lack it in the final third, the most important part of any audio device – the sound quality. If he A73 had a decent sub-bass, non-sibilant and yet sparkly highs, FIDUE would have been on to a winner! Therefore, I can’t really recommend them – as there’s many better options out there in the sub-£100 price tag category that outclass the A73 in almost every single aspect.